The Thanksgiving meal is always up for interpretation (deep-fried turkey, anyone? ), but some things are best left as-is. Case in point: Libby's time-honored pumpkin pie recipe, which has been a staple of Thanksgiving dinner tables ever since the recipe first showed up on the sides of cans of Libby-brand pumpkin puree way back in the 1950s! The key to the recipe's success is its simplicity: Pumpkin, sugar, evaporated milk, spices, and a few other ingredients are combined and poured into a deep-dish pie crust, then popped in the oven for about an hour. The result is a deliciously smooth, spicy dessert that begs for a dollop of whipped cream! It's one of our very favorites! 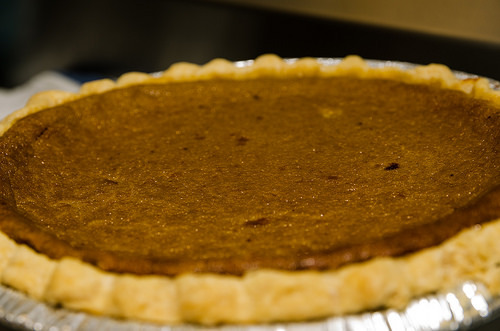 Want to make Libby's pumpkin pie in your kitchen at Yorktown? Follow the link below for the full recipe!